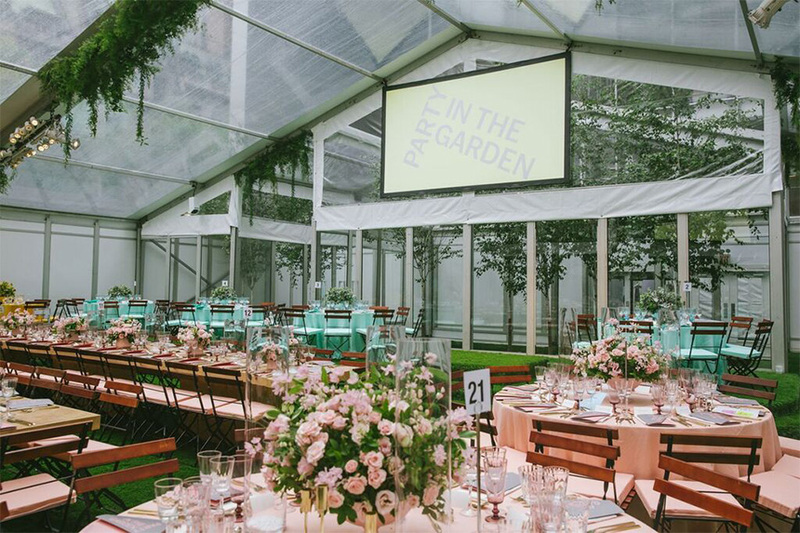 Located in New York City, the Museum of Modern Art’s annual Party in the Garden is an occasion of elegance and extravagance for all attendees. 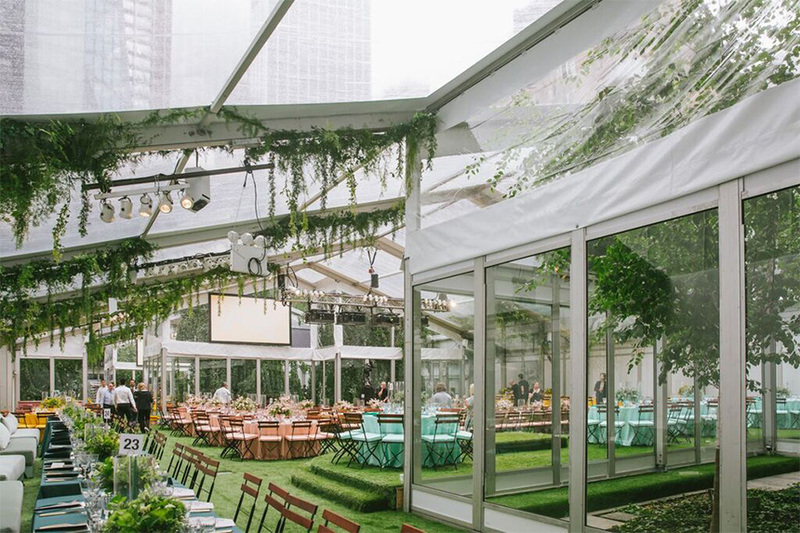 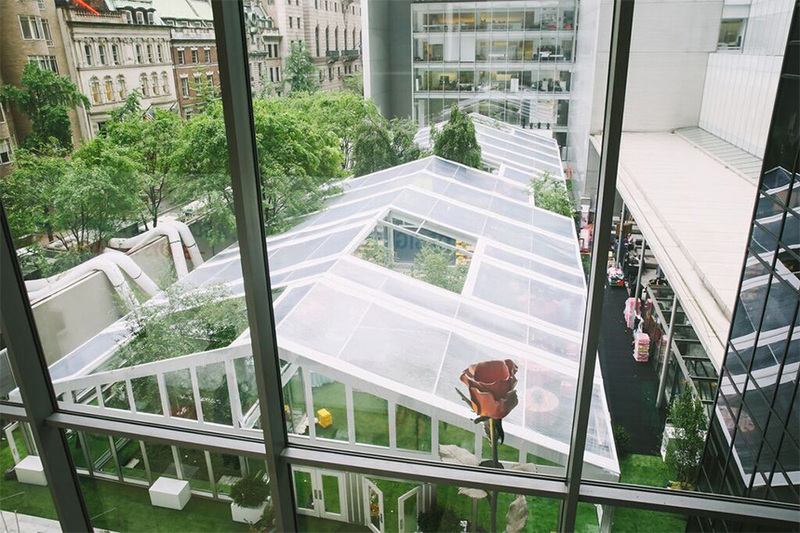 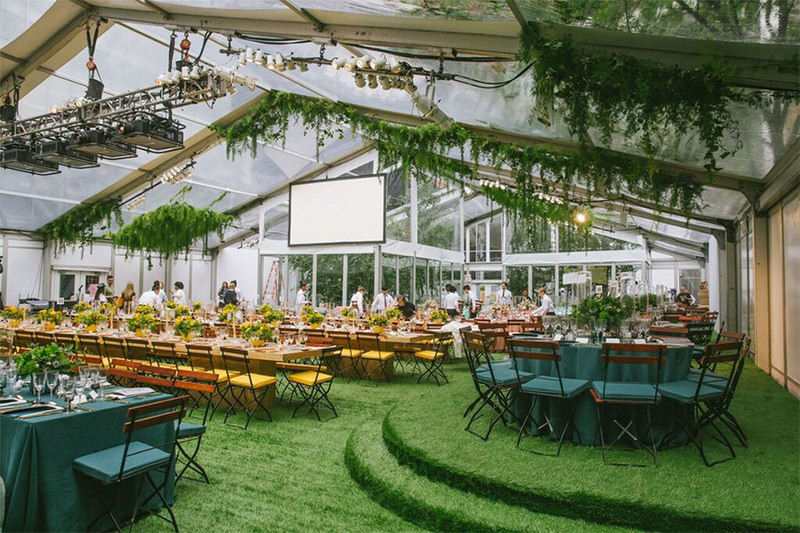 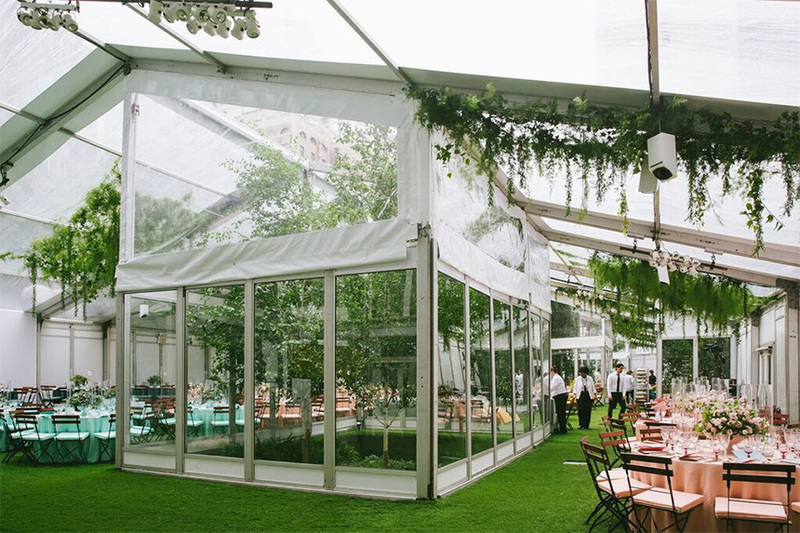 Hosted in the beautiful Abby Aldrich Rockefeller Sculpture Garden, home to more than a dozen world-renowned sculptures, the event benefits MoMA’s annual fund including educational programs as well as the care, study, and maintenance of its collection. 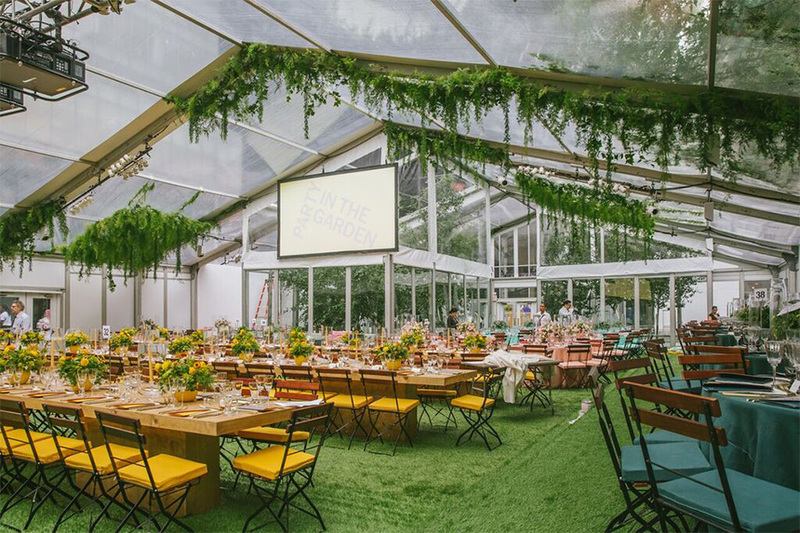 Arena Americas is a respected vendor for the Party in the Garden and has provided a variety of tenting and flooring for the A-list event. 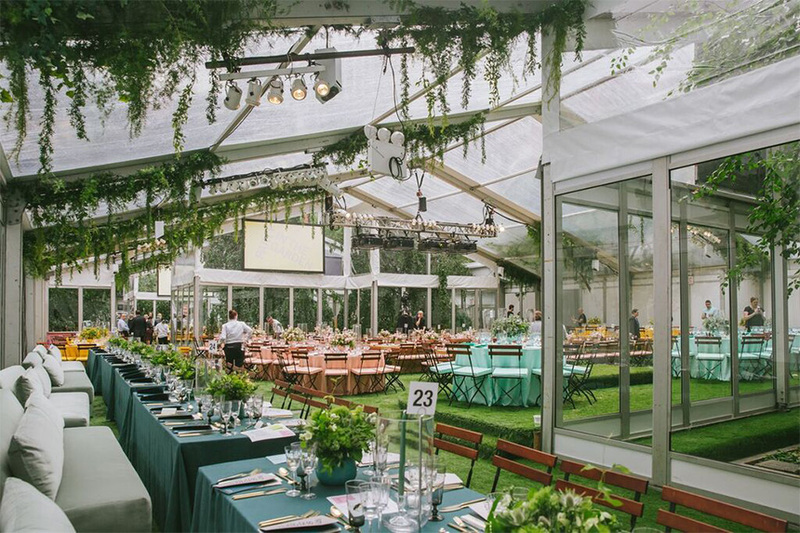 Conscientious not to distract from the beauty of the garden’s flora and sculptures, Arena Americas uses their expertise in customizing minimalist structures, such as the 20m clearspan tent in 2018 that allowed the trees to poke through the top and an array of open-sided structures in 2017. 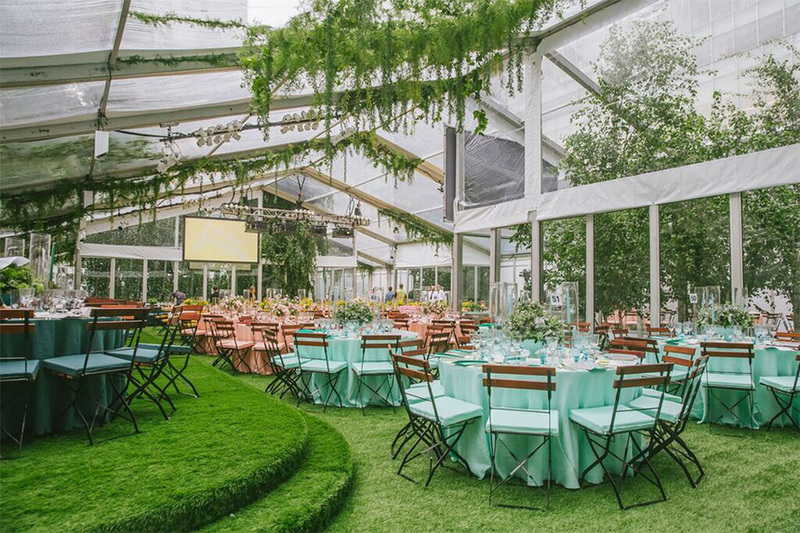 In addition to being beautifully elusive, Arena Americas enhances the verdant ambiance with green turf to create an authentic garden experience!